What Is That Job/Hustle That Pays Well But You Can Never Do No Matter How Broke You Are? No matter how worst the situation gets, or how hard Nigeria becomes, there are some jobs or hustles some of us might never get in to or involve in. Its not pride, its not that you don’t like money or want the best thing in life. Or not ready to work. You just don’t like it or want yourself found doing that type of job. We all have our class, and personal respect and as such, there are some jobs we can never do. 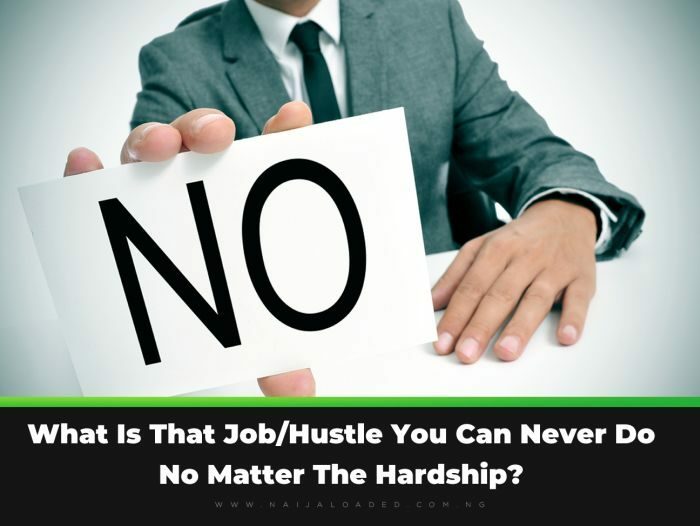 What Is That Job/Hustle You Can Never Do No Matter The Hardship?